How can I join the international jury? The international jury is selected by ACE. All cuppers interested in joining a jury as a judge are required to register here if already a member, if not Join us here. Any cupper who has not already been on a Cup of Excellence international jury will be required to join as an ‘observer’ before becoming a full scoring judge. 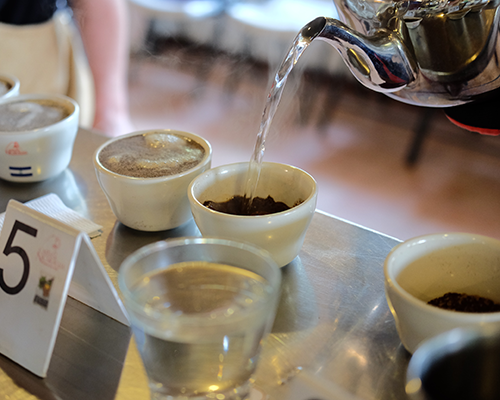 All Cup of Excellence jurors and observers must have significant cupping skill and experience, a love of great coffee and a desire to reward hard-working farmers. Jurors must be members of ACE. Is this competition open to all coffee growers? Yes, the Cup of Excellence program is designed to allow any farmer in the country to submit one sample without any fee. It is one of the few programs that levels the playing field and does its best to support equal access and success for all farmers, regardless of their size or financial status. How do I buy a Cup of Excellence® and/or ACE National Winner? A roaster/retailer or importer becomes a member and then purchases Cup of Excellence and/or ACE National Winner samples. Purchasing the samples also gives the company the opportunity to buy the coffees at the auction. 200 gram samples of each winning coffee is sent after the competition to be analyzed again by the roaster. At the scheduled date and time companies registered for one or both auctions can go to the ACE site and place bids to purchase their desired coffee. The Cup of Excellence auction is a timed auction lasting a few hours, the National Winners auction is a multi-day platform. Once the auctions have ended, the buyer coordinates payment and shipping with the exporter chosen for that country’s program. Detailed information about the bidding, buying and shipping process is sent to all registered bidders and bidders need to agree upon these conditions prior to bidding on the auction. Who is the Alliance for Coffee Excellence, Inc.? The Alliance for Coffee Excellence (ACE) is a not-for-profit organization that owns and manages the Cup of Excellence® program. 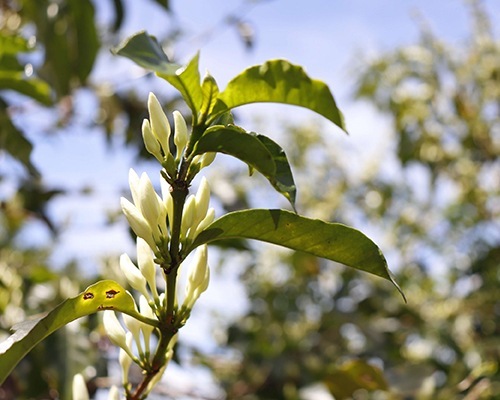 ACE also conducts training, testing research projects and other activities designed to increase the appreciation of exemplary coffee worldwide and reward farmers who work hard to produce them. ACE enjoys a global membership of top tier coffee companies. Cup of Excellence® is the premier coffee competition and auction worldwide! It is also the highest award given to a top scoring coffee. The level of scrutiny that Cup of Excellence coffees undergo is unmatched. All of the Cup of Excellence award winners are cupped at least five times (the top ten are cupped again) during the three-week competition. Literally hundreds of cups are smelled, tasted and scored based on their exemplary characteristics. The prices that these winning coffees receive at the auction has broken records time and again and prove that there is a huge demand for these rare, farmer identified coffees. Why is Cup of Excellence so important? The Cup of Excellence program has set the standard for the increased premiums that farmers have been able to receive for their exemplary coffees. It continues to build a much more transparent infrastructure and gives farmers the tools needed to improve the economic model of their farms. It also gives farmers an incentive to experiment with varietals and processing techniques knowing there can be a recognition and financial reward for their hard work and effort. Since 1999 progressive roasters have used the COE program to identify and build relationships with growers of superior coffees even after buying the award winners at the auction. This direct trade benefit to both the marketplace and the farmers is huge and has created much more sustainability for both. The competition alone has helped the industry better understand and appreciate the nuances and flavor profiles of rare exemplary coffees and understand that these are the coffees that build consumer excitement and loyalty. Cup of Excellence coffees are vacuum packed. Each box contains two 15kg sealed bags. ACE National Winners are generally packed in grain pro or in another protective bag depending on the country. To support our buyers ACE distributes marketing materials to the buyer of the Cup of Excellence coffees for use on their retail bags. The ACE national winner logo is downloadable. Who are the national and international jurors that select the coffees? Each country program has two separate juries that cup and score the coffee during the three stages of the competition – a national jury made of up trained cuppers who reside in that country and who pass a rigorous test given by the program staff and an international jury comprised of skilled cuppers from around the world. How do I find out about the winning farmers and the farms? Detailed farm information for every Cup of Excellence winning lot is available on the website. This can be accessed by all members at any time. Information about the ACE National Winners is available through each in-country coordinator. What is the difference between a Cup of Excellence® winner and an ACE National Winner? Coffees scoring 86+ points by the national jury will be cupped and scored by the international jury to determine eligibility for either the Cup of Excellence or National winner auction. No more than 40 coffees will be cupped by the international jury. The top 30 coffees scoring 87+ by the international jury will be Cup of Excellence winners. Coffees scoring 85+ at any round of the international jury will be eligible for ACE National Winners. How do I know that I am buying a Cup of Excellence® or ACE National Winners? The Cup of Excellence name is protected and only those coffees that win are allowed to use this wordmark. 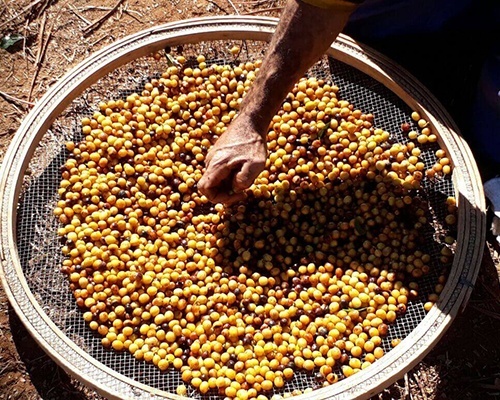 Neither award is given to the entire farm-only to the coffee lot that was submitted to the competition and that has been stored in a secure warehouse during the competition. The competition process is monitored by an outside auditor. Both Cup of Excellence coffees and ACE National Winners are sold via the online auction. If you are a secondary buyer from a source other than the auction, the buyer of each lot is listed on the auction site or you can contact ACE staff for verification. How do the farmers know how much money they should get from the COE auction? Everything about the Cup of Excellence is open and transparent and the farmers usually watch the auction so they know both the buyer and the auction price. There is also a page on the website for everyone to see the commission from the COE auction which will be paid to the organizers. The vast majority of the auction price goes directly to the winning farmer. The National Winner prices are also online during the auction process and farmers are aware of the price paid and who bought the coffee.